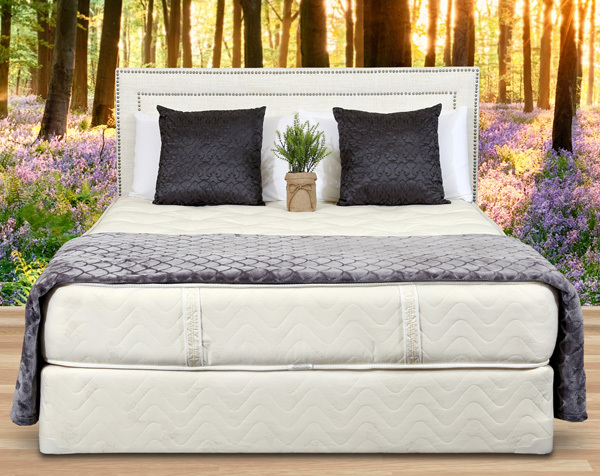 Adjustable Bases – Finding the right mattress is a crucial step to finally getting the complete relaxation you need for a great night’s sleep. At the same time, there are even more steps you can take to truly make your bed the centerpiece of your downtime and rest. Adjustable bases for your mattress can help you find the best position for reading, resting, sleeping, or any other use for your bed. It can help you reduce your snoring, elevate your legs, or better support your head without the tossing and turning that plague so many sleepers. Gardner Mattress is proud to partner with Leggett & Platt, makers of innovative, comfort-increasing adjustable mattress bases. Each model features distinct relaxation technology such as pressure point relief, massage capabilities, and simultaneous head and foot movement for effortless coordination and comfort. Check out our selection of adjustable bases for your mattress and discover how you can find even greater relaxation today. Why Are Factory-Direct Mattresses a Better Value? Mattress retailers often spend a great deal of money on advertising to bring customers in the door. Their newspaper, internet, and television ads all extol the benefits of their mattresses, but in reality, mattress stores often purchase their mattresses from another manufacturer and the prices are marked up to cover the cost of advertising and overhead. If you really want a great deal and remarkable quality, you need to cut out the middleman and buy your mattress from the same factories where these retailers get their inventory. Here’s why it’s time to skip the stores and order factory direct. When you order a factory direct mattress, you can select exactly what you want. You choose the materials, thickness, and toppers, and you get to make decisions on construction details such as tufting or stitching. Once you place the order, the manufacturer expertly crafts the mattress to your specifications. In contrast, when you get a mattress from a store, it’s often been sitting there for months, if not longer. Countless people have tested that bed and bounced up and down on top of it. When you order a bed direct from the factory, it’s yours and only yours from the moment you order it until the moment it arrives at your door. A retailer may be knowledgeable about their mattresses, but that’s usually only because they’ve received a list of talking points from the manufacturer. In contrast, the manufacturers at the factory really know everything about the craftsmanship. If you have a question before you order, they know the answer because they make the mattresses. When you get a factory-direct mattress, there’s no middle man. You don’t play a game of “telephone” and instead, you work directly with the people who make the mattress. If you have an issue once the mattress arrives, you can consult with the manufacturer directly. Many factory direct companies also offer a satisfaction guarantee—they’re so confident you’ll like the mattress that if you don’t, you can send it back. Cutting out the middleman doesn’t just lead to better communication. It leads to better value. When you buy from a retailer, you almost always end up paying more. The retailer buys the mattress from the factory, and although the retailer doesn’t add any value, they ratchet up the price of the mattress. With a factory direct mattress, you don’t have to worry about those extra expenses. The cost is a lot closer to the actual cost of making the mattress. You also get higher quality materials and better craftsmanship when you work with a factory-direct company rather than a traditional retailer. Dollar for dollar, you get better materials simply because the pricing structure is more advantageous for consumers. Beyond that, factory-direct mattress companies tend to use better materials because they have a true passion for the craft. At Gardner Mattress, we specialize in factory-direct mattresses. We have been a family business since 1933, and we put the same hard work and dedication into the mattresses we make today as we did back when we started. When you order a mattress from us, you find out first-hand what factory direct is better value and better quality. Contact us today at 1-800-564-2736. Next article	What Does the Tufting Process Involve? Local Mattress Manufacturing vs. “Bed-in-a-Box” — Which Should You Choose? What Makes a Quality Mattress? Do You Really Need the Most Expensive Mattress?